Living with King Richard: Playing catch up! I do appear to have neglected this blog a little don't I? My last post was from the beginning of October 2013! Of course, a lot of water has run under the (Bow) Bridge since then. The battle of the petitions ended, the judicial review started....and finished, the building of the new Richard III Visitor Centre began, Leicester Cathedral revealed their plans for the new Cathedral Gardens - including the re-location of the Richard statue (complete with new sword!) from Castle Gardens, the authorisation of the new tomb design, and the general excitement surrounding the now definite re-interment of King Richard in Leicester Cathedral in the spring of 2015! Yes, there is still the rumble of petty disapproval and derogatory name calling of Leicester by a small minority of York supporters who just cannot accept the decision to reinter Richard in Leicester Cathedral. No amount of posting abuse on their anti Leicester Facebook pages is ever likely to change that. Do they really not realise that they will not attract any further public support by coming across as sore losers? Please just get over it and move on guys! Surely it would be better to now join Leicester in the celebration of the discovery and dignified re-burial of Richard rather than sulking in the corner, stomping their feet and muttering "I will NEVER go near that place to pay my respects to the king. NEVER!!" I am sure the vast majority of the good people of York are now sick of the whole 'Bring Him Home' thing anyway, if they were ever even aware of it in the first place! 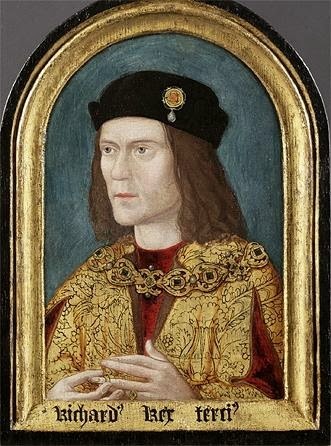 August 22, 1485 - Richard III is killed at Bosworth Battlefield and his body is brought back to Leicester and buried at the Greyfriars friary. August 25, 2012 – University of Leicester archaeologists begin their excavation at the city council car park and come across a set of human remains with scoliosis and battle scars. September 3, 2012 – the Ministry of Justice grants an exhumation licence for the removal of the bones. February 4, 2013 – the University of Leicester calls a second press conference to confirm the identity of the remains. March 16, 2012 – Stephen Nicolay – who claims to be the 17th great grandnephew of Richard III – forms the Plantagenet Alliance. May 1, 2012 – legal papers are lodged with the High Court and the Alliance officially apply for a judicial review. September 24, 2013 – A petition by York to have the bones moved up north closes with 31,341 signatures. October 12, 2013 – Leicester’s petition closes with 34,477 signatures. November 26, 2013 – the judicial review begins into the legality of the University of Leicester’s exhumation licence, but is adjourned after Leicester City Council indicated that it considered itself the ‘legal sentinel’ of the remains. March 13 and 14, 2014 – the review goes ahead at the Royal Courts of Justice, in London, with the University of Leicester and the Ministry of Justice versus the Plantagenet Alliance. May 23, 2014 – after nine-and-a-half weeks the High Court rules that the Alliance has no case and the MoJ exhumation licence is valid. June 16, 2014 - the final tomb design was revealed by the Cathedral. Also, the project budget and the news that King Richard III’s coffin will be made by Michael Ibsen. July 5, 2014 - Opening of Cathedral Gardens, complete with the relocated statue of Richard III from Castle Gardens with his brand new sword! Also the unveiling of the new art installation 'Towards Stillness' by Juliet Quintero. Next for the diary...July 26, 2014 - the opening of the Richard III Visitor Centre - Dynasty Death and Discovery!